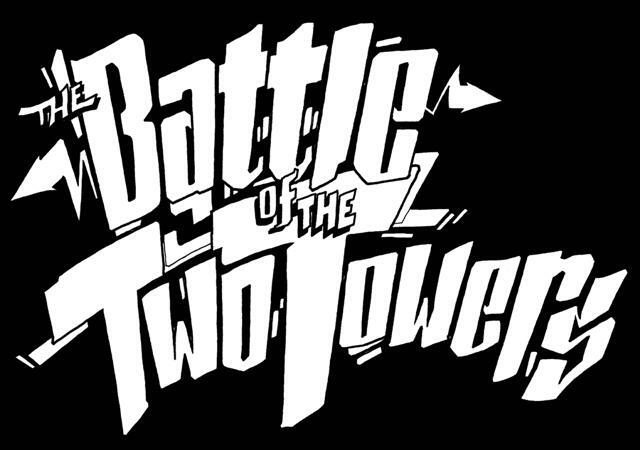 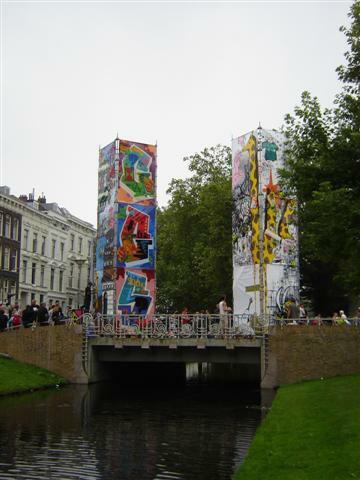 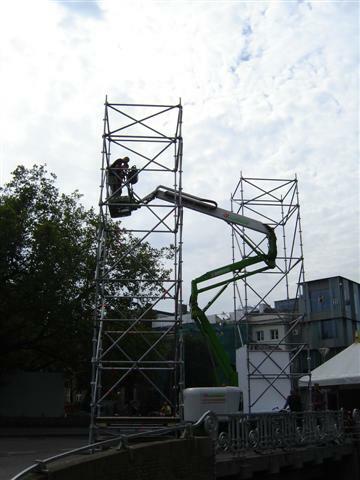 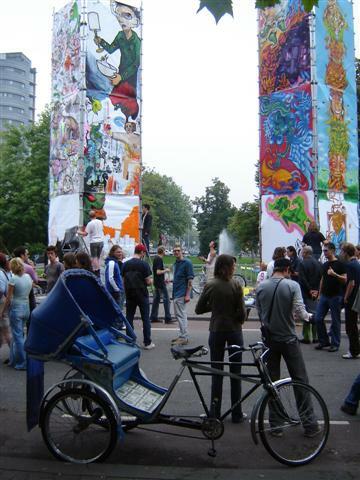 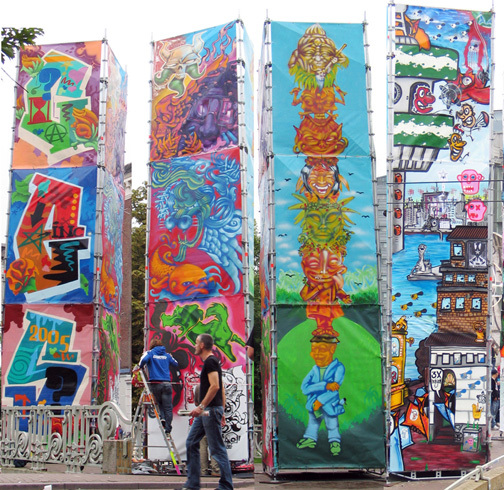 During the Wereld van Witte de With festival 2005 we organised the Battle of the Towers. 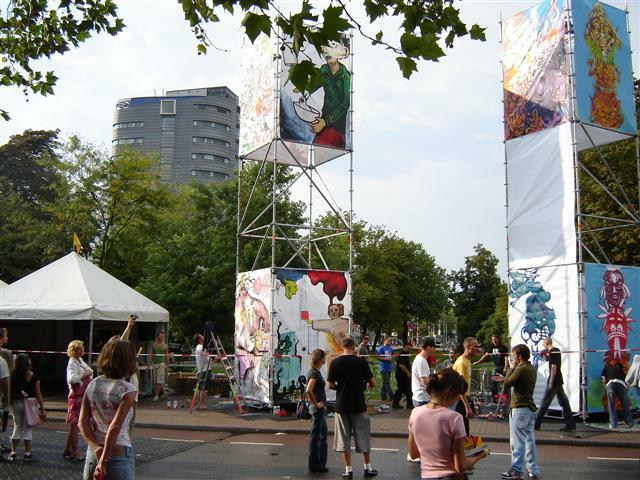 12 artists from Antwerpen and 12 artists from Rotterdam batteled each other by painting a tower nine meters high during the three days of the festival. 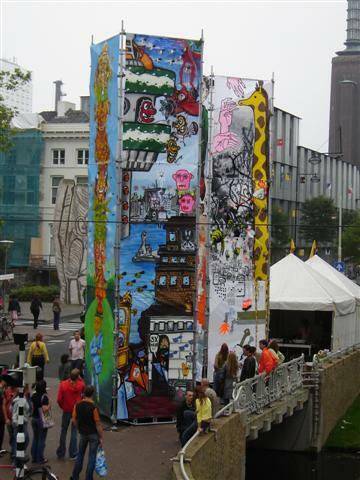 From Antwerpen: Ephameron, Bertlezy, Natalie, Gulp, Gun-T, Herr Wardo, Kolchoz, AF, Mackplakt, Melvin & Serge Beaken. 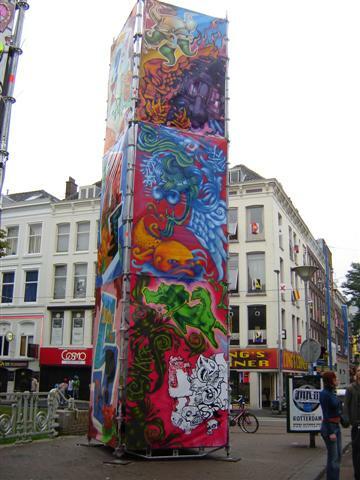 From Rotterdam: Oles, P.Bloem, Boortorrie, Pinwin, Mr. Smith, Cosh, Thor, Ces53, Dush, Onno, Aniel & Bas.